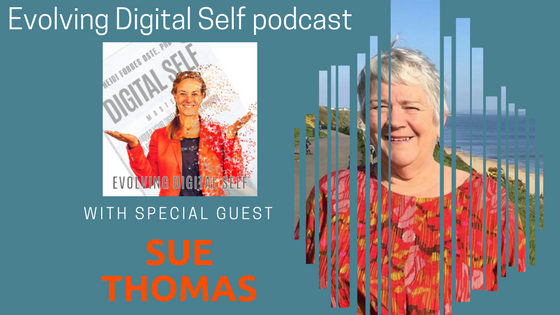 Our guest Dr. Sue Thomas and host Dr. Heidi Forbes Öste talk about how to integrate our digital lives with the physical world for better balance. Sue Thomas’s latest title is Nature and Wellbeing in the Digital Age (2017) which offers practical ways to connect to nature without logging off. Other books include Technobiophilia: Nature and Cyberspace (2013), a study of metaphors in nature and technology; Hello World: travels in virtuality (2004), a travelogue/memoir of life online, and the novel Correspondence (1992), a story of transformation which was short-listed for the Arthur C. Clarke Science Fiction Award. From 2005-13 she was Professor of New Media at De Montfort University and is now a Visiting Fellow at Bournemouth University. She lives by the sea on the south coast of England.